In October of 1937, at the height of the Great Purges, Andrei Tupolev, one of the pioneers of the Soviet aviation industry and the designer of several Soviet bombers in the 1920s and 1930s, was arrested by the NKVD and charged with espionage, sabotage and aiding the Russian Fascist Party. While in the Gulag prison system, Tupolev would go on to design one of the Soviet Union’s best aircraft of World War Two: The twin-engine Tu-2 dive-bomber. Though Tupolev’s aircraft did not arrive at the front in large numbers until the summer of 1944, in the midst of the Wehrmacht’s retreat westward, the design and construction of the dive-bomber would have a tremendous impact on the Soviet aviation industry as a whole. The experience gained while designing the Tu-2 proved to be instrumental for Tupolev and his team following the Second World War, and its effects can still be felt today, as the Russian Federation’s three main bombers were all designed by the Tupolev Design Bureau: The Tu-95, Tu-22, and Tu-160. Tupolev was far from the only aircraft designer to come under suspicion from the NKVD in the late 1930s. In addition to several managers and designers of the Central Aerohydrodynamic Institute (TsAGI) who were arrested along with Tupolev, including Vladimir Petlyakov who would go on to design the Pe-2, dozens of other prominent figures in the industry were accused of being enemies of the people, including designers at the Experimental Design Bureau, engineers at the Kharkov Aviation Institute, and managers at the Smolensk Aircraft Factory, just to name a few. Many of these individuals were executed in the late 1930s, and none would be rehabilitated until 1954-1955, despite their wartime service. Tupolev managed to avoid the fate of many of his colleagues, and was sent to the Butirskoi prison, where he spent approximately one year. Shortly after Tupolev’s arrest, Lavrentiy Beria established the Special Technical Department of the NKVD (STO), which was effectively a research and design bureau within the Gulag prison system. In 1938, Tupolev was sent to the newly-established Experimental Design Bureau 29 (TsKB-29), an STO prison camp which focused on aircraft design and production. Accompanied by many of his colleagues who were arrested the previous year, Tupolev was transferred from Butirskoi to the prison camp near Bolshevo – a former labor camp for the homeless – northeast of Moscow. TsKB-29 was comprised of three buildings: the first was the prisoners’ barracks, the second a kitchen, and the third was a work area equipped with desks and drawing boards. The small camp was surrounded by a barbed wire fence and miles of thick forests on all sides. The NKVD proceeded to split the prisoners into four teams in charge of four separate development projects. The first, officially designated Project 100, sought the development of a twin-engine high-altitude fighter. Led by Vladimir Petlyakov, a colleague of Tupolev’s at TsAGI, Project 100 eventually evolved into the Petlyakov Pe-2 light bomber, which would have a tremendous impact on the War on the Eastern Front. Project 101, headed by Dmitry Tomasevich, was tasked with designing a modern single-engine fighter. Project 102, led by Vladimir Myasischev, was to design a twin-engine high-altitude bomber. The final team, Project 103 and led by Andrei Tupolev, was told to design a four-engine heavy dive bomber. Project 103 specifically sought the development of a high-altitude long-range four-engine dive bomber that would be able to destroy land-based fortifications, ships, and other heavy targets. The STO envisioned the bomber flying at an altitude of 10,000 meters, which meant the aircraft required a pressurized cabin and powerful high-altitude engines. The Project 103 team members were told the aircraft should be able to dive at an angle of 50-70 degrees at a speed of 900 km/hour. Tupolev’s team, which by April of 1939 had grown to 24 members, were unanimous in their assessment that the design and construction of such an aircraft was virtually impossible. A four-engine dive bomber that had all the characteristics sought after by the STO would be very complex structurally, and extremely difficult to maintain. Project 103 determined that a new twin-engine dive bomber would be able to fit the needs set forth by the STO, but it would be impractical to pursue such a project with more than two engines. In September of 1939, after witnessing the destruction wrought by the Luftwaffe’s Ju-87 Stuka dive-bombers during the German invasion of Poland, the Soviet leadership acknowledged the need to develop medium dive-bombers of their own that would be capable of effectively attacking key ground targets. While at the time Soviet designers were working on what would become the Il-2 Sturmovik ground attack aircraft, which was comparable to the Stuka, Moscow saw the need for a multi-role dive-bomber that had a speed similar to that of German fighters, namely the Bf-109. In the fall of 1939, Tupolev’s team thus received the order to develop a high-speed, twin-engine dive-bomber that could carrying a heavy bomb load and be capable of operating both during the day and at night. Project 103 quickly turned out designs per the specifications set forth by the STO. Throughout 1940, Tupolev’s team explored different possibilities and combinations that would give the new aircraft the required speed and bomb load. Moscow’s decision to pursue such an aircraft was reaffirmed in 1940 after witnessing the destructive capabilities of Germany’s new twin-engine multi-role aircraft, the Ju-88, during the Battles of France and Britain. Tupolev’s first prototype flew in January of 1941, and after a series of trials and fatal errors, Project 103’s aircraft 103B was accepted for state trials. Powered by two Shvetsov M-82 engines, the new aircraft had a top speed of 528 km/hour, a range of 2,000 km, and could carry a bomb load of 3,000 kg. Armed with two 20mm ShVAK cannons and five 7.62mm machine guns, the new high-speed dive-bomber was well equipped to play a variety of roles. 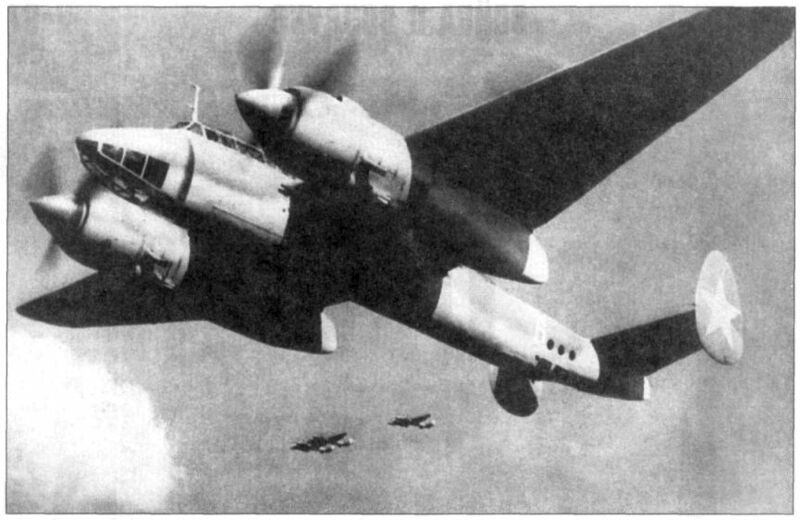 Though Project 103’s aircraft, now designated Tu-2, passed state trials and was officially introduced in March of 1942, the dive-bomber proved too complex for the conditions on the frontline. Nevertheless, a small number of Tu-2s reached the front in 1942, and VVS crews were generally enthusiastic about the armament, speed, and range of the new dive-bomber. After a series of further modifications and the stabilization of the aviation industry following the wholesale evacuation eastwards in 1941-1942, the Tu-2 serial version made its first flight in August of 1943 and was send to forward VVS units. 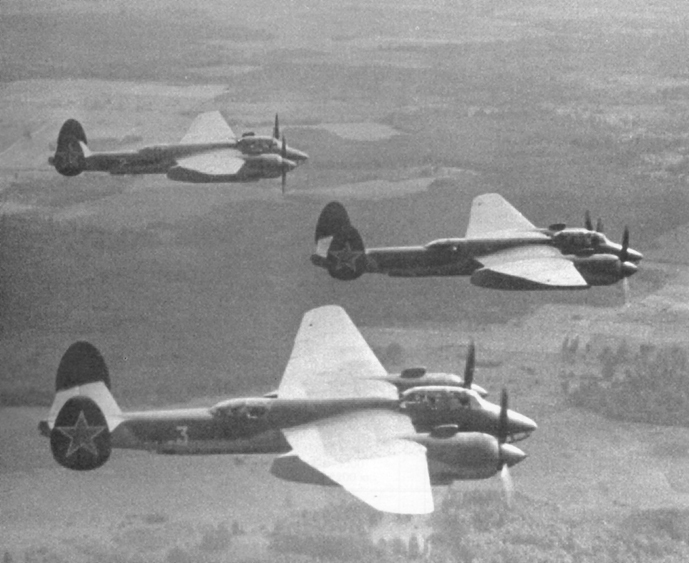 However, it was not until June of 1944 that the VVS received large enough numbers of Tu-2s to have an impact on the Eastern Front. By this time, the Wehrmacht was retreating westwards, and the Western Allies had opened up the second front that Moscow had been requesting for more than two years. Consequently, the impact of the Tu-2 on the outcome of the war was less than some contemporary Soviet aircraft, such as the Il-2 Sturmovik. While the Tu-2’s ultimate contribution to the victory over Germany was limited due to the fact that it did not arrive in large numbers at the front until 1944, its contribution to the Soviet aircraft industry as a whole cannot be understated. Tupolev would go on to lead the project to reverse-engineer U.S. B-29 Superfortress bombers, resulting in the Soviet Tu-4 heavy bomber that was in service from the late 1940s to the 1960s. Tupolev also spearheaded the Tu-95 bomber project in the 1950s, bombers which are still in use today. Following his death in 1972, the Tupolev Design Bureau continued Andrei’s work designing and producing heavy bombers for the Soviet VVS. The Russian Federation’s supersonic strategic bombers, the Tupolev Design Bureau’s Tu-160, is today one of the most lethal weapons in the VVS’ aresenal. Despite designing the aircraft under the incredibly adverse conditions of a Soviet prison camp, Andrei Tupolev’s team designed a dynamic multi-role aircraft whose impact can still be felt today.